Huron County councilors have approved a motion asking staff to prepare a report on the possible advantages to the county in switching over to electric vehicles. In making the motion Central Huron Mayor Jim Ginn pointed out the technology has moved along much faster than many people thought it would and some manufacturers have announced within a few years they will only be making electric vehicles. 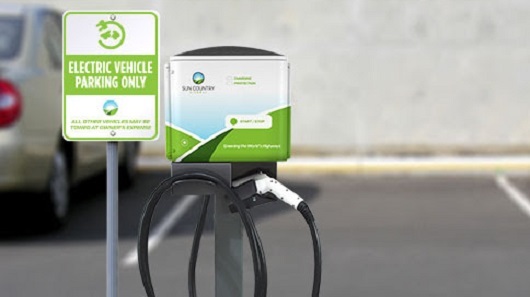 Ginn says one of problems in the past has been the range of the vehicles and the lack of charging stations but more charging stations are being installed every day and many vehicles now have a range of 350 to 400 kilometres. He suggests county trucks are generally only used during the day so it would be easy for them to remain within that range and charge overnight and be ready for the next day. Ginn has asked staff to look at possibly switching to electric vehicles as they replace their current fleet. In making a motion to ask Huron County staff to look into the potential in switching to electric vehicles, Central Huron Mayor Jim Ginn explained the improvement in the technology has made electric vehicles more practical and the range has improved significantly. “I know there are cars out there now that are in that 230 to 250 mile range. So a lot of our vehicles – they’re out inspecting roads and travel in day time all the time, then they could come back, plug it in at night and save a lot of gas consumption.” County council approved the motion to look into switching to electric vehicles as they replace their fleet.